Play a Quiz, alone or with friends. Score over 1,000 points in a Short Quiz, alone or with friends. Score over 2,000 points in a Medium Quiz, alone or with friends. Score over 4,000 points in a Long Quiz, alone or with friends. Win a Long Quiz against friends. Take your first steps in Explorer. Control all 6 African Territories in a game of Explorer. Control all 6 Australian-Asian Territories in a game of Explorer. Control all 6 European Territories in a game of Explorer. Control all 6 Asian Territories in a game of Explorer. Control all 6 North American Territories in a game of Explorer. Control all 6 South American Territories in a game of Explorer. Control half the Territories in a game of Explorer. 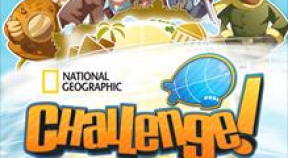 Win 5 consecutive, competitive puzzles in a game of Explorer. Complete a game of Explorer with 3 other players beside you. Complete 5 Quizes alone (profile owner only). Complete 5 Quizzes on Easy Difficulty (profile owner only). Complete 5 Quizes on Hard Difficulty. (profile owner only). Win a Puzzle Battle against another player. Complete your first Jigsaw puzzle. Complete all Jigsaw puzzles. (profile owner only). Complete your first Square puzzle. Complete all Square puzzles. (profile owner only). Complete your first Slider puzzle. Complete all Slider puzzles. (profile owner only). You have finished a round in any Quiz with a negative score, alone or with friends. You captured a Territory in each colour in a game of Explorer.